Brands including Sky, AIG and NFL UK descended on London's Landing Forty Two yesterday (11 February) for the Team Pride: Levelling the LGBT Playing Field event. Other companies in attendance included Arsenal, the British Olympic Association and Premier League. The event, which sought to address the issue of LGBT discrimination in British sport, was hosted by Team Pride and also saw involvement from the likes of Adidas, Accenture, Aviva, Aon and Manchester United; along with advocacy groups Stonewall, Outstanding and Leaders in Sport. Highlights included an address by both Olympic boxer Nicola Adams and rugby’s Keegan Hirst, who spoke about the challenges of coming out, meanwhile former pro-NBA player John Amaechi discussed the state of LGBT inclusion. Ruth Hunt, chief executive at Stonewall and Suki Sandhu, founder and chief executive at Outstanding, discussed the importance of allies, and Mark Gonnella, communications director at Arsenal delivered a presentation on HR training for employees. 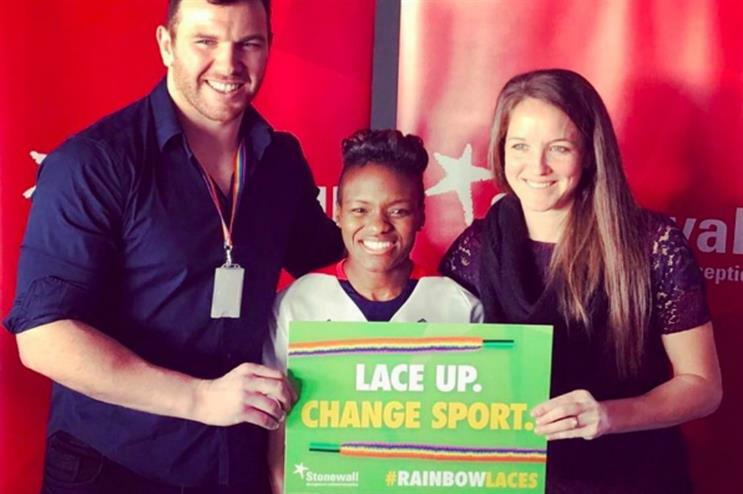 The event also saw the launch of the Stonewall rainbow laces campaign. Phil Clement, global chief marketing officer at Aon, said: "Sport has an incredible ability to break barriers and be a catalyst for positive social change. "However, despite recent stories of players and officials coming out, sport arguably has some way to go in taking full advantage of an inclusive industry where all LGBT individuals are accepted and able to bring their 'whole selves to work'." Richard Arnold, managing director, Manchester United, added: "We are committed to creating and promoting an environment of inclusion through all our interactions as a club. "This is a critical forum for stakeholders working in and around sport to drive an inclusive culture across the industry and, ultimately, have a greater impact on society." Does Adidas' IAAF exit hail a new era of sponsor power?